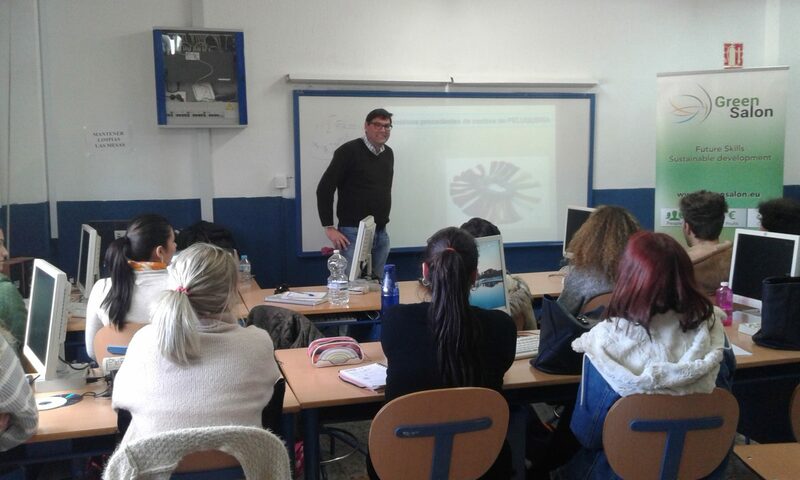 The professor of the Department of Inorganic Chemistry, Crystallography and Minerals of the University of Málaga, Mr. José Jiménez Jiménez, gave a lecture to the students of the Higher Degree of Personal and Corporate Image Consulting within the framework of the Green Salon Project called "Waste with W of wealth". During the conference, the expert spoke about the types of waste that exist, the legislation that regulate recycling in our country and the great economic value of waste by converting it into other by-products or raw materials. The professor emphasized the business opportunities generated by waste management and recycling, lamenting that sometimes, such economic interests are above the conservation of the environment. He also condemned the export of waste and garbage from the first world to the African continent, aggravating not only its economic underdevelopment but also the ecological and social progress . An important part of his speech was devoted to talk about the composition of hair dyes, the elimination of them through drains and their effects on the environment, posing some imaginative proposals to solve these problems. The conference was closely followed by our students and also served to disseminate the Green Salon project to all attendees, agreeing to maintain the collaboration between the Department of Inorganic Chemistry of the University of Málaga and our center.